Thanks to all my readers for following along in 2011 and hope New Year's dawns bright in 2012! Here's are five of my favorite baseball endings to capstone the year. 1. 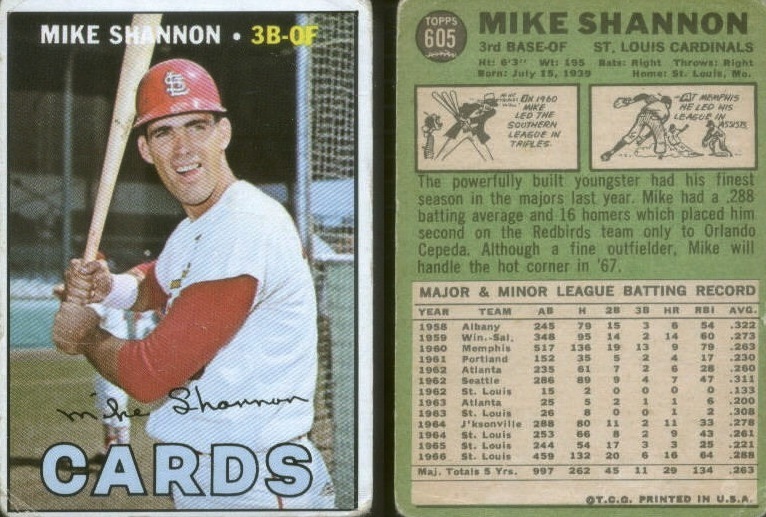 1967 Topps #605, Mike Shannon, the last card obtained for a set with teeth-gnashingly expensive high numbers. The Topps Archives did a great bit of research into 1967's short print frequency for Who Ya Callin' Short?! It's useful to remember that determining "real" short- and double-print rests on collectors examining original sheets, since Topps was tight-lipped about production quantity. 2. Even though my Red Sox lost out to Tampa on 2011's final day (and final inning), it ranks as one of most amazing days fans will ever see. ESPN broke it down for their "strange but truest last day of the season." 4. Vin Scully calls the 9th inning of Sandy Koufax's perfect game in Sept 9, 1965. 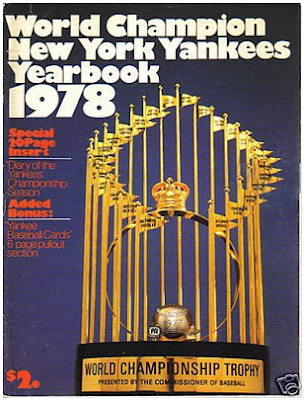 This is the same game Koufax's recent biography structured itself around, if you're the literary type. "There's 29,000 people in the ballpark and a million butterflies..."
5. What says "the end" like This Week in Baseball's closing theme? This Aug 10, 1982 clip kicks off with Joel Youngblood's "Tale of Two Cities" moment in the sun and made me pretty nostalgic when those horns and strings swelled at 1:12. Any fantastic finishes in your collection this year?